Oh look, it’s the exact same characters, task, map, and design again in a Pokemon game. This review has taken a long time to write. Aside from having a bad migraine that lasted most of a week last week, Pokemon: Let’s Go Eevee brought out a lot of complicated thoughts I had about the mainline Pokemon series and the constant need to reinvent the wheel and revisit the past. One of my own tropes writing at Sketchy Details is dealing in nostalgia. There are films, books, games, tv shows, plays, and videos I love because they trigger really strong personal connections and memories in me. I include those thoughts and concepts to provide a context for how I’m viewing a text. I could probably write an entire memoir based around my early experiences with Pokemon but that’s not where my interests lie. I’m here to catch Pokemon and take names in online battles. Pokemon has a nostalgia problem as a series. Pokemon: Let’s Go is the sixth time the original Red/Green game has been recreated (Red/Green —>Blue (a remaster) —> Red/Blue (remake for international audiences) Yellow (reimaging based on the popularity of Pikachu in the anime) —> Fire Red/Leaf Green (port of Red/Green for international audience) —> Pokemon: Let’s Go Eevee/Pikachu) in 22 years. Add on new adventures in the Kanto region and you get three more sets of mainline games playing in the same region (Gold/Silver (a sequel to the original) —> Crystal (“director’s cut”) —> HeartGold and SoulSilver (remaster)). In fact, only three Pokemon mainline games have not seen remakes: Pokemon X/Y, Pokemon Black/White, and Pokemon Black/White 2. Sure, the games will feature some new feature to justify the existence of yet another remake, but there’s really not much. Further, when radical changes are made, such as the new gym battles in Pokemon Sun/Moon, the changes are abandoned in the next major game to bring the series closer to the original release. It doesn’t matter how fans or critics view the changes, either. Developers Game Freak will revert all but the most popular changes—playing as a girl or a boy, changing your clothes, online trades and battles—with each new game release. Change can be scary, but I frankly find the constant need to repackage the same game with minor cosmetic differences even scarier. The menus and information screens are always clear in a Pokemon game. I’ll give Pokemon: Let’s Go credit for one major change. I have never had to address controls in a Pokemon mainline game before. The overworld controls are old-school RPG: arrow keys (or thumbstick, if you prefer) to move around the world, then a simple menu and inventory system for battles. Easy. It’s a tried and true formula that Pokemon has down to a science. Sure, they might do wacky things like add a dedicated folder system in your bag (candy, medicine, TMs, and battle items are all separated in your bag, for better or worse), but it’s always clear what to do. Less successful is the new catch system. I love the idea of this. It’s the Pokemon Go system. You encounter Pokemon you see on the map (brilliant: I want to know what I’m going to encounter so I can pursue it or ignore it depending on my needs in the game) by walking into them. You have the option of choosing your pokeball (regular, great, ultra, or your singular master ball) and a berry (a razz berry makes a Pokemon like you more, a nanab berry makes a Pokemon slow down, a pinap berry increases the chance of getting an item when you catch a Pokemon) to help you catch. You aim the cursor at the screen, toss the ball, and hope it sticks. There is no more battling for normal Pokemon; Snorlax and the legendaries require you to beat them in battle and then catch them. This is the most user-friendly and intuitive catch system with the least repercussions for players. You will no longer risk passing out and losing your progress because you’re trying to level up by battling/catching wild Pokemon. You get the most experience in the game for catching Pokemon (more than battling) and it’s split evenly among your party. It’s a great conceptual choice. The reality of the controls is really hard to deal with. You have three ways you can play Pokemon: Let’s Go on the Nintendo Switch. You can play in tablet mode, which has both joycons attached to the console with its built-in screen. This works great. Photo taken moments before disaster. That great ball is going to bust open. Thanks, motion controls. You can also play the game with one joycon or a Poke Ball plus. These are both motion control; they are both bad. I briefly tried the motion controls on my first play through and had to step away so I didn’t quit the game. I started a new game specifically to test out the motion controls on a playthrough and did not have a better experience. I spent over two hours just trying to recalibrate the controls, try different techniques, even try different distances from the Switch and/or television to optimize the catching process. At best, the motion controls kind of work if the Pokemon is right in front of you. There is still a significant delay in you throwing the pokeball and the game responding to the motion. At worst, the ball flies in any random direction if the Pokemon is not dead center (and even if it is centered) and there is no consistent way to control the angle of the ball. I honestly thought I was doing something wrong, so I went into shiny hunt and lurk mode and watched streamer after streamer, YouTuber after YouTuber struggle to get the motion controls to work at all. I don’t mind functioning motion controls, but the motion control programming in Pokemon: Let’s Go is terrible. I played shovelware on the original Wii that had better accuracy than a mainline Pokemon game in 2018. That’s a problem. We’re stuck with a game that is almost identical to something you may have played 20/22 years ago (depending on where you live) and many times over again. The big change, the motion control catching, is a total bust. What does Pokemon: Let’s Go offer you that dusting off your handheld and replaying an earlier version of the Gen I game doesn’t? Surprisingly, a lot. Despite the control issues, I think this is the single best entry point the Pokemon series has ever had. The catching (when it works) is far more forgiving than battling to catch Pokemon. The candy replaces IV training (optimizing the six stats of a Pokemon: speed, attack, special attack, defense, special defense, and HP by battling specific Pokemon over and over) and tells you what each candy will do to each stat. Shoot, you even earn Pokemon-specific candy by sending Professor Oak multiples of the same Pokemon caught in the wild. The Pokemon-specific candies are another feature pulled straight from Pokemon Go and it’s a welcome addition to the mainline games. Powering up your Pokemon is now intuitive and not a pure guessing game. Pokemon: Let’s Go looks great and I can actually see where I’m supposed to go in a Gen I game. The worst feature of Gen I is still here. Snorlax blocks a major intersection, so towns that should be connected are now separated by long paths through caves and tunnel systems. It doesn’t matter how often I play the original game in any of it’s forms; I will get lost and terribly frustrated by this. Fortunately, the Snorlax maze/puzzle has never been easier. The graphics upgrade makes it easier to see where you should go and the game nudges you in the right direction better than ever before. I will say the mountains are still difficult to navigate, but without the threat of passing out because of your 30th Zubat encounter in a row, it’s not nearly as hard to deal with. The gyms have interesting new designs and puzzles around them even if they are ultimately the same battles. The early ones are walk in and fight trainers until you reach the gym leader. Later on, you’re navigating elaborate mazes or even participating in a quiz show to get to the final battle. It’s a nice spin on themes you already know from playing the earlier versions of the game. The gym types are the same, but the layouts are different. Pokemon: Let’s Go does commit to the anime-models of the gym leaders, so Brock, Misty, Sabrina, and all your favorites look just like the cartoon. The game also offers you a bunch of brand new moves for your Eevee or Pikachu. You are not allowed to evolve your partner, so a ringmaster character offers to teach you extremely strong moves inspired by the Eevee evolutions to make them more useful. It is also your partner Pokemon that learns the secret techniques that let you chop down trees, surf, or light up dark caves. It’s all a matter of fine details that really establish why your partner Pokemon is special in a way that pulls heavily on the “Pikachu can do anything” lore of the anime. The battles are everything I remember them to be, except Wrap has never gone back to its original unfair form. I still fear Wrap to this day. I mentioned at the beginning I have complicated thoughts on this game. That is not an exaggeration. At its best, it made me go back to some really great memories of originally playing Pokemon Blue on my big brick of a Game Boy with the magnifying light because even back then my eyes were terrible. At its worst, it made me question why I continue to support the Pokemon series at all. 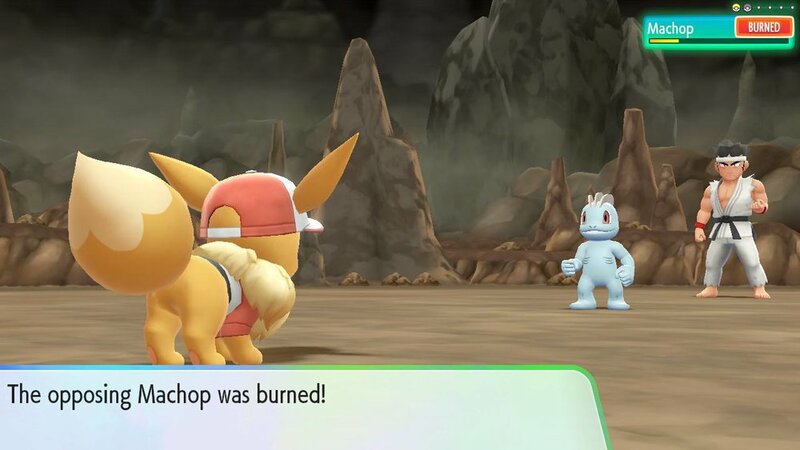 My expectations were so high for a mainstream Pokemon game finally reaching a Nintendo console that my hopes were shattered when the bad motion controls meant I was only ever going to play on tablet mode. I also knew in my heart of hearts that this would just be a remake of Pokemon Yellow, a game that I didn’t like for the exact same reasons back in 1999. I don’t mind shiny new editions of puzzle or rhythm games, but I expect RPG and adventure games to give me some new plot. I don’t even mind a remaster when it’s marketed as such (I have every version of Shadow of the Colossus and they are literally the same game with improved graphics and sound). Pokemon: Let’s Go is not being marketed that way and that’s a mistake. I think back to all my Pokemon game experiences and come to a simple conclusion: I’m over Kanto games. I’ve found every other location a Pokemon game has been set in so much more compelling in style and layout that going back to the Snorlax-maze of Kanto is just a disappointment. Even when Kanto was revisited in Gold/Silver/Crystal, it largely looked the same. Compare that to the varying water mechanics of Hoenn, the towering buildings of Sinnoh, or even the variety of foliage and mountains in Alola, the largely flat grass and dark tunnels of Kanto is visually dull. Do I recommend you buy Pokemon: Let’s Go? That’s a complicated question, too. Are you buying for someone (or as someone) who is new to the series and wants a jump-in point? Absolutely buy it without the Poke Ball Plus add-on. It’s a great starting point for a new player. Are you a die-hard Pokemon fan who actively competes online or loves shiny hunting? Sure. Being able to see the Pokemon around you makes shiny hunting a dream. As for battles, be aware that you do have to pay for the Nintendo Online subscription to use those features. Are you a casual fan who just picks up the newest Pokemon game because it’s there? Think hard about it. You’ve played this game before, despite getting to ride an Onix or have Jigglypuff walk behind you. If you can justify the investment, you’ll probably have some fun, but it is not really a new experience to a seasoned player. 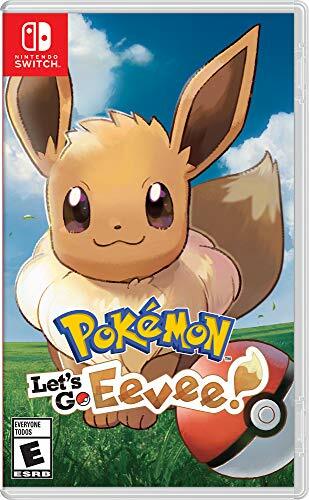 Pokemon: Let’s Go Eevee and Pokemon: Let’s Go Pikachu are currently available for digital download or physical cartridge for the Nintendo Switch.